Life as Wednesday's bodyguard, driver, and errand boy is far more interesting and dangerous than Shadow ever imagined. Soon Shadow learns that the past never dies . . . and that beneath the placid surface of everyday life a storm is brewing—an epic war for the very soul of America—and that he is standing squarely in its path. 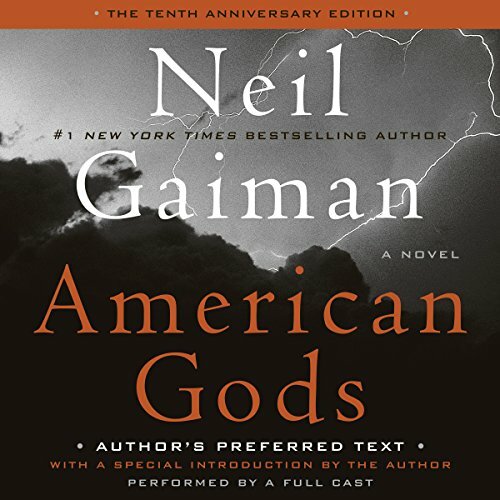 I read American Gods when it first came out and was amazed by what Neil Gaiman had done. I've been a Gaiman fan since his work on Sandman and understood that the core of his stories is almost always myth and storytelling. American Gods has these in spades. This new recording, featuring a full cast, is actually very good. Some say that there is no life in the characters, but there is. It's set against the bleak backdrop of a war between gods old and new. It's set against the seeming non-involvement of the main character, Shaodow, who often seems to be along for the ride but ultimately acts as the one character the listener can relate to in a world filled with fantastical creatures called gods. The first several times the cast interacts with the narrator can be jarring, but once the listener is used to the voices and the rhythm that builds over the first chapter or so, it becomes natural and the listener can get in to the story proper. American Gods is dense. This edition has some 12,000 more words than previous editions. It is not a book to be taken lightly. It requires thought and it requires patience. Those willing to give it those things will find a solid, entertaining and thought provoking listen. I am new to Neil Gaiman's work. I once tried to read a Sandman comic and felt utterly lost, so I gave up trying. His recent work on Doctor Who and my membership on Audible led me to pick this audio book. I'm not a big fan of full cast productions either. I like the idea of a single person reading the book... but after reading the criticism and researching the different versions of the book for myself, I decided to give this one a try. The voice of Shadow is perfect... as is that of Mr. Wednesday. It really helps the book come alive. 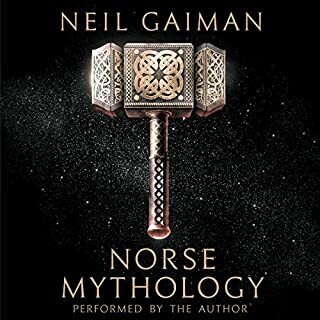 If I had read it or listened to a single person voicing it, I may have gotten sick of the tangents that Gaiman follows, but since I had the numerous voices as sign posts on the journey, it really did help. They do a great job of setting the tone. This book is like a dream you don't want to wake up from. It makes so much sense, yet if you were to try to explain it to someone, it wouldn't. If you expect something from it, you may be disappointed, but if you just let it take you on a journey and let your mind wander with it, you will enjoy every minute of it. Neil Gaiman knows how to get you to feel for his characters by making them a part of the familiar. This really is something I could see myself dreaming. I hope HBO does make it into a TV show, as is the buzz. This isn't a review about the story American Gods; others will do that. What I felt important to review here was the superb production presented by this very talented group of narrators. The characterization- depth, realism and building of, and ability to relate to -in American Gods is very well done, but the performance of the narrators brings them further, adding an even more complex and integrated layer of emotion and connection. The main narrator is easy to listen to and warm to the tale- I felt the narrator was telling me a story of his experience rather than a recitation of another's work. 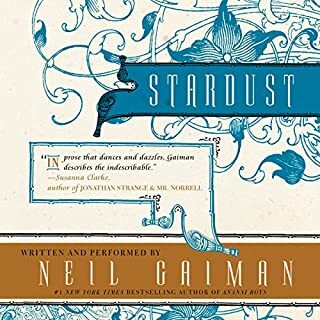 And of Neil Gaiman's own short passages, sprinkled thru-ought: an excellent lift from the main story, giving each break an ethereal yet distinctive separation from the main story. I really loved this story. My kids have been telling me for years to read it, and I finally got this edition to listen to. I can't imagine any part of it I'd hope to miss, and am not sure what the parts were in this edition that weren't in the previously released version, but again, I can't imagine I'd want anything left out. I'm usually not a fan of "cast" performances on audiobooks. I like a single storyteller. However, this was really an outstanding performance - they did a truly great job. I feel so alone in my opinion after so many zillion glowing reviews. But this book either left me cold or sometimes irritated me. The endless fantasy historical mythology told by characters of whom I cared little. The repetitive dream sequences that were just a lot of symbolic images that went nowhere. Characters who talked and talked about other characters who were never in the actual plot. Most of the time I couldn't place where the characters were when they talked with each other. Which was a lot of talk. 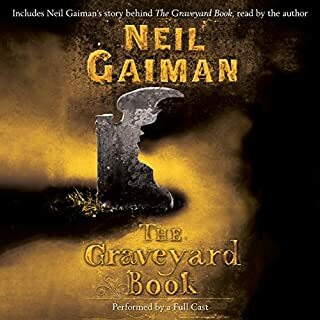 I have listened to Neil Caiman's Graveyard in the past and I loved it. This was a big mess of a disappointment. I did not like the story, and I disliked nearly every character. That is not to say this is a terrible book. It is full of obscure places and bits of anthropological American history which are fascinating, revealing how little I know of my own country. The prose is beautiful at times, direct, and not distracting. The plot seemed more like a mechanism for the author’s rambling exploration of the myriad histories that have fallen together to create the scrapbook heap of America’s past. The result was not characterization of likable people but of characters who can pull us through the author’s expansive understanding of America. We, therefore, never truly feel attached to the outcome of anything or anyone (save for the few unexplored supporting characters), and even the anticlimactic outcome of the book only serves to underscore the unimportance of the plot. Hence, the unexpected revelations that could be shocking are met with, “Meh.” I felt more interested in the non-central-plot immigrant characters whose stories skirted the edges of the story just as they skirted the edges of American society. The vignettes depicting them were far more poignant, more telling, and ultimately more revelatory of America than the rest of the meandering storyline. I had held out hope that Shadow, our central hero, once awakened by the revelation of what it meant to be alive would actually come alive as a character. But he remained robotic. He developed somewhat by becoming more proactive and less reactive, but the proactive actions he took were not those of a living person. They were those of a character in a book who needed to wrap up the plot so that the story could end. I like the writing, and I will come back to Gaiman, but this piece left me wanting so much more from him, his story, and the characters. As for the narration of the audiobook, I liked every voice except for the narrator’s. He was cloyingly redundant in his intonation patterns to the point that it distracted me from the material he was narrating. He had a habit of raising his pitch at the start of a sentence and then quickly falling toward an aloof sarcastic tone at the close of the sentence. I found him off-putting. The other voices in the Full Cast version of the narration excellently portrayed the characters’ physical and emotional traits. I was especially fond of Hinzelmann, despite his dark secret because of just how effectively he was voiced; he also turned out to be one of the most complex and complete characters in the story despite his minor role in the overall plot. Gaiman is one of those authors for who I simply buy the hardbound when it comes out and I read and re-read these over the years. 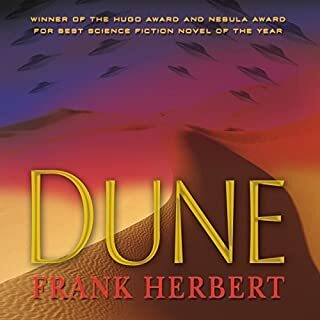 I was thrilled to find this revised production version of it on Audible.com. I may be prejudiced but I found this audio book immaculately performed and amongst the top of the books I've listened to. I really enjoyed the variety of narrators-with a novel this involved, a multi cast interpretation is the only way to do it justice.Yes, it's long and quite complex, especially if you've not read it previously but it's well worth the time and any effort. If you're a fan of fantasy fiction, American gods should fascinate you. 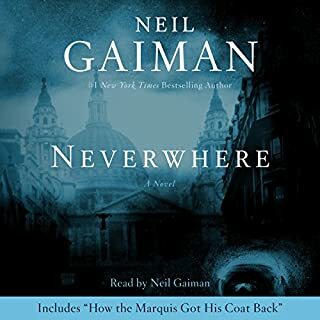 A caveat: It may take a while to get into..because it is long and as a bit convoluted, you might not be grabbed in the first chapter..Gaiman develops his novels slowly-they creep up on you. I hope readers who are unfamiliar with his work don't give up right away..this book is a synopsis of past gods and goddesses from our ancestors and their plight in the world of technology. For me, this is a book thats worth reading, and re reading again-I know I'll be listening again in a couple of years. I haven't finished listening to this yet but wanted to weigh in about the narration. If you are one of George Guidall's many fans, by all means get his production. 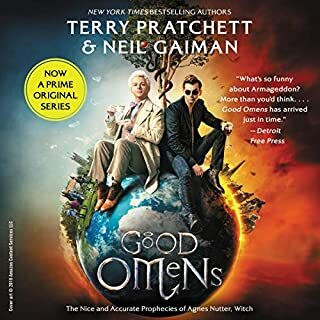 But when I first searched this book on Audible and found only Guidall's version, I chose not to get it because have never cared for his voice or performances. That is not meant as a criticism of this much-honored narrator, it is strictly personal taste and preference. I like the use of different readers and in general think all four of these do a good job. This is an *extremely* dense and confusing book, and hearing different voices, at least for me, creates welcome breaks. Whether this production will wind up being worth the heavy going is still up for debate with me. Gaiman's Preface to this anniversary edition characterizes it as "big, odd, and meandering." It's certainly all of those. He also acknowledges that some of his fans "really hate it." But there is a lot of interesting stuff in the book, especially for people who enjoy the off-center, the surreal--and the ineffable. Not a bad book, but not the glorious triumph of writing that other readers hyped it to be (those readers probably enjoy The Catcher in the Rye--my least favorite book ever). I enjoyed American Gods, but not enough to recommend it to anyone other than a serious Neil Gaiman fan (but they probably already have it). I think I heard Gaiman appropriately use the word "meandering" while describing American Gods. I prefer a bit more structure to a story--not rigid formula, but more than a loosely-bound collection of things that happened. This style perhaps should have stayed in his graphic novels. [Possible SPOILERS in this paragraph...] The twists were almost all immediately obvious--especially the big one, which was an early story-killer for me. As a result, I rarely got excited about what might happen, or felt consequences would matter. The protagonist's reaction to everything was so naive, I couldn't really see him as a real person. Then, it got all artsy-fartsy with metaphysical philosophy, symbolism & that other stuff that feels like a cop-out when it's used an as explanation without clear parameters. "It happened, bcuz magic, bro." Yes, the universe exists on a single blade of grass... I get it. It's an entertaining tale with some interesting characters, but felt like more of a shell than a story. I don't regret getting it, but couldn't urge anyone else to do the same. What did you like best about American Gods: The Tenth Anniversary Edition (A Full Cast Production)? What did you like least? Imagine, if you will, a gilded box, a beautifully etched and sumptuously appointed golden jewelry box. By the sheer beauty of the box, you just know. You know that whatever such a lovely box holds within itself must be of inordinate beauty, of breathtaking value. When you gently, carefully open the box to view its treasure, you gasp. That, dear friends, would not be a gasp of awe and amazement, it would be a gasp of shock for sitting just as pretty as you please is a bubble gum machine cheap plastic ring of the black spider Halloween variety where you expected a ring of great value. The gilded jewelry box is the beautiful, engaging writing of Neil Gaiman whose vast literary talent cannot be denied. The plastic black spider ring is the actual story Neil has spun. It is as if Neil spelunked into his most shadowy places brought up what he found, and painted his word canvas from that dark material. With his typical generosity, the fleshed out this book’s characters of which only one – Shadow struck me as remotely likable. Mind you, I have a penchant for flawed characters and typically find myself aligning with a likable villain over a lily white Pollyanna hero. While Neil did do a great deal of research into the human imagined gods of the past, blending them nicely into the present time, his tale was colored, flavored and dripping with his own personal viewpoints on a range of social and moral topics which felt agenda driven. Of course, as he is the author, he has every right to do so, but on more than one occasion, I felt as if I had figuratively bitten into a large bite of pecan pie only to cringe upon biting down upon a hidden shell in the topping. Not being a shy violet, when I confess that there were certain events within the book that were too graphic for me in content and in language that is not a small statement. This is the first time my love for beautiful writing has warred with my equal love of a good story. Perhaps that is the reason that I continued to listen to the entire audiobook hoping that détente would be achieved between my two loves. That, sadly, did not happen. With that said, the narration was exceptionally good, and the entire cast was delightful. It's wonderfully performed and a really creative story but to be honest at some point along the way the various gods that flitted past for a scene or two started to blend into one another. The wonderful performance made listening enjoyable but the complexity of the story might have lent itself better to reading a physical book. I've always been eager to read more of Gaiman's work since "Stardust", and got this as a whim. I loved every minute of it. Shadow is an unusual but likeable main character. The entire novel from start to finish was an absolute delight and I'm just disappointed there wasn't more of it. Fantastically delivered, the cast's voice acting suited the tone of the book well and was downright phenomenal. Great book read by great cast. Loved it. Got thoroughly absorbed. Listen every moment I could. The book and the cast were great.